Creating a Capsule Wardrobe is very much the thing to do at the moment. Condensing your closet down to a few key pieces and living a minimalist lifestyle sounds idyllic but isn't something that I believe I could ever achieve. When it came to packing for my Caribbean Cruise however it was key in ensuring that I travelled light. When I was packing my case for our dream Honeymoon on Celebrity Eclipse I was keen to keep my luggage weight down. With a three day stop in Miami before we boarded the ship I knew that I'd want to do some shopping and Bath & Body Works candles aren't exactly the lightest things to bring home. It seemed like a daunting task to start with, packing for a 14 night cruise to include day outfits and evening outfits, and keeping well below my luggage allowance at the airport. 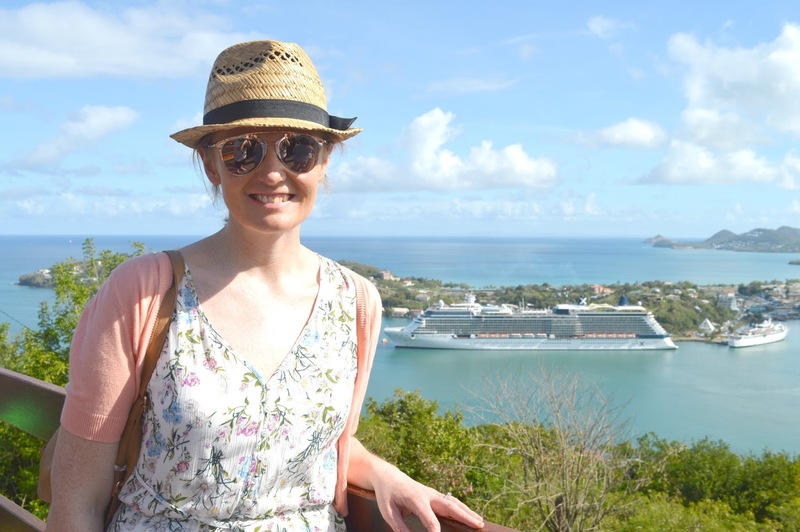 But I managed to do it, and here are a few tips if you're going on a Caribbean Cruise and want to create a holiday capsule wardrobe. I planned all of my outfits around my shoes! Shoes are one of the heaviest items you'll pack into your suitcase so it makes sense to keep them to a minimum. As tempting as it was to pack all of my heels for the evening my sensible head knew that this wasn't practical. There's a surprising amount of walking involved in the evening on the ship and navigating the stairs and corridors of Eclipse in mammoth heels would have been a challenge. I chose one pair of comfortable heeled sandals in black and then built my evening wardrobe around them. 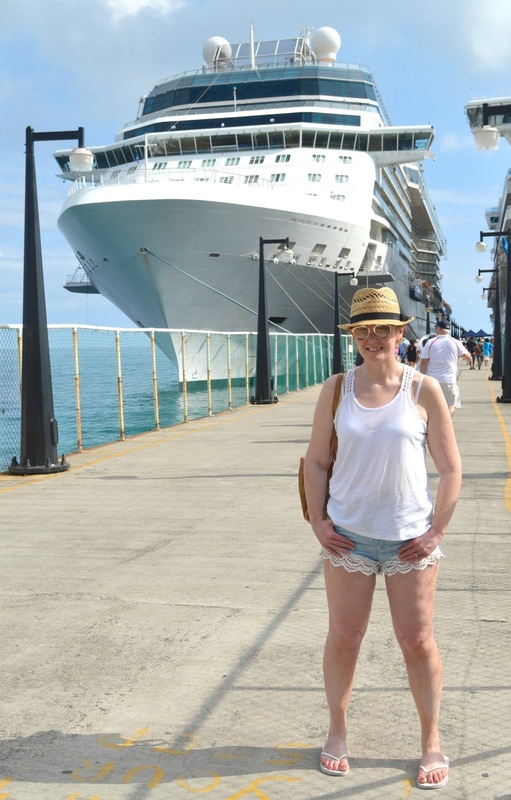 The only other shoes I really needed on the cruise were comfortable trainers for days that involved a lot of walking, sandals for pottering around ports and the all important flipflops for comfy days on the ship. All of my daytime shoes were nice neutral colours that I knew would match any outfit. I headed to Primark before we left to find some basic white tops that would match all of the shorts I was taking. I was careful in store to only pick up the lightest items that I knew would take up a small amount of room in my suitcase. Once I'd found my perfect top I bought a few of them to take with me. Having a few key basics in your suitcase makes pulling together an outfit so easy. Sorry to go all Pauline Fowler on you but I'm a big fan of cardigans on holiday! Little cropped cardigans in a variety of beautiful colours are easy to find in shops like Primark and they can completely transform outfits to give your shorts and dresses multiple wears. They're also a great idea for protecting you from the sun in the middle of the day. 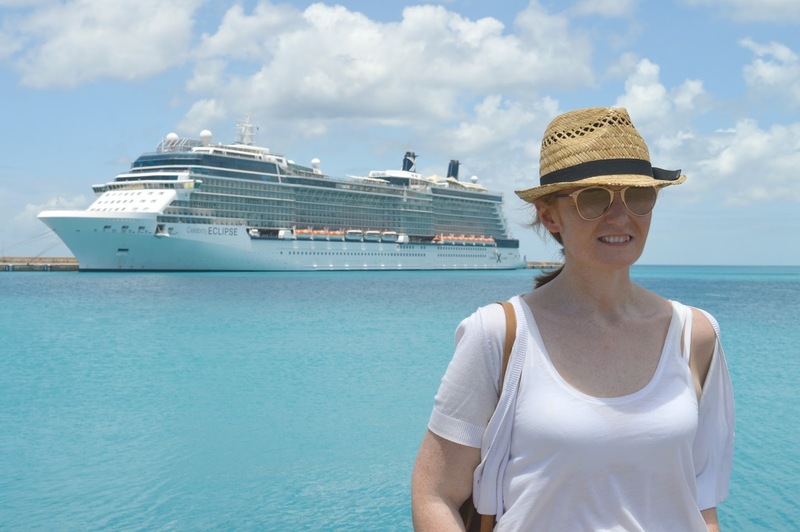 I did a bit of reading and research into cruising before we went away and most people suggested that when packing for a cruise think about what you'd like to pack then half it! This worked so well for me, this was probably the first trip where I didn't pack multiple bags, endless amounts of swimwear and different shorts for every day. Wearing items like shorts a couple of times is the best way to keep your luggage minimal. I built my entire evening wardrobe around the colour black to match my sandals and this worked really well. 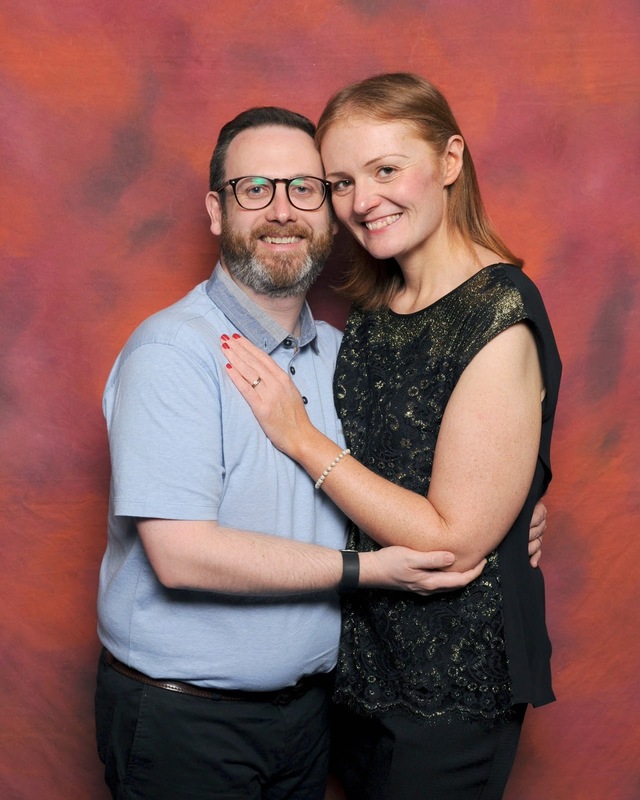 I took a couple of dresses that I knew I could wear a few times and found some very clever fake lace sleeves in Primark that I could wear under outfits to give sleeveless dresses arms. Suddenly I could wear some of my outfits in several different ways! 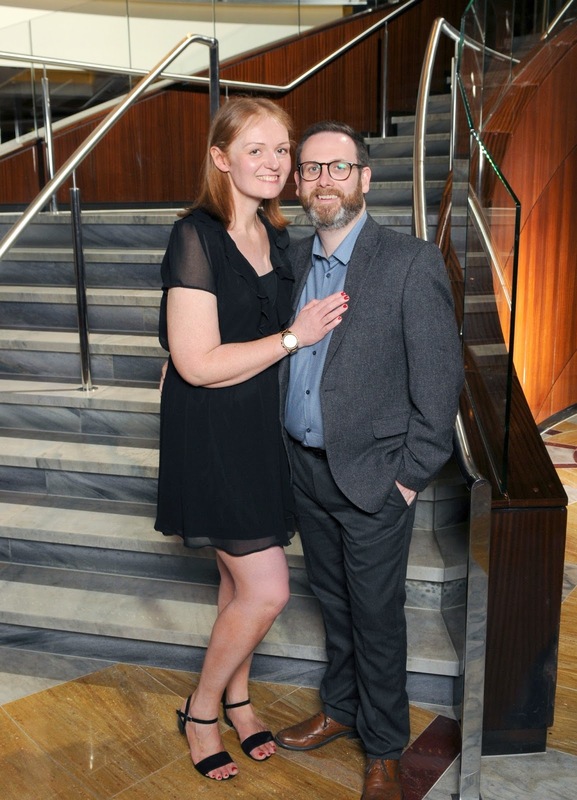 Taking bottoms like long skirts and fitted black trousers meant that I could take a few lightweight evening tops to pull together different outfits made up of the same bottoms. This was definitely the first holiday where I didn't take a completely different coloured evening outfit for every night of our trip and it worked really well. Before I put all of my clothes into my suitcase I made sure to lay them all out on my bed to make sure that I knew exactly what outfits I had. It took forever but was definitely worth the effort. 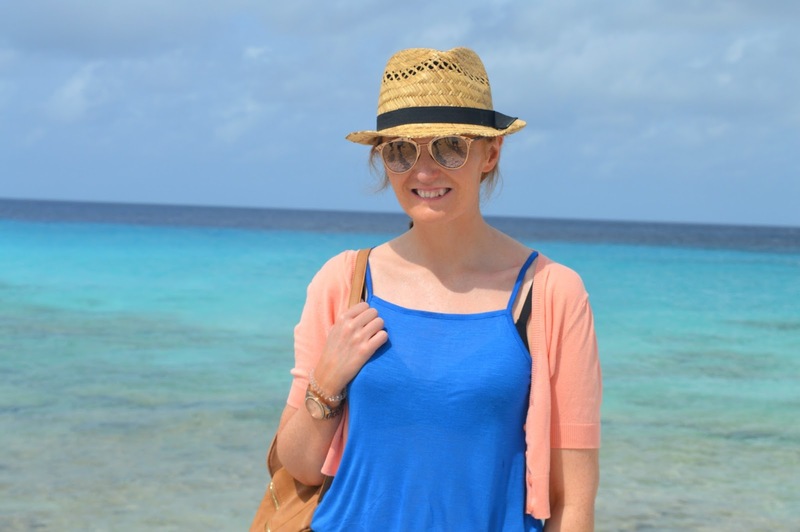 Knowing in advance which items worked well together made sure that I kept my luggage to a minimum and that I had a good idea of exactly how my Caribbean Cruise Capsule Wardrobe was going to work before I went away. I'm very pleased to say that when I checked in my luggage at Newcastle Airport it was well under my allowance and, despite Simon's concern, I managed to transport three huge Bath and Body Works candles home with me! Does anyone else have any good tips for creating a holiday capsule wardrobe? What did Simon's planning and packing look like? Was he just as meticulous? I'd totally struggle to do this.. but I guess, with the want/need of bringing home shopping, I reckon I'd give it a go! Haha! I love the tip/idea of outfit choices around shoes! Such a good idea! I think I'd really struggle with this - I am a regular overpacker! But the promise of extra bath & bodyworks space in my case might inspire me too...! 40 Before 40 - The Ultimate Bucket List!